Looking for a good and affordable gaming laptop? Here’s a look at 8 gaming laptops that we feel are the best in their categories. This includes budgets of $500, $1,000, and $1,500. We’ve also included picks for VR, portability, and high refresh rate G-Sync options. Want to know what to look for? 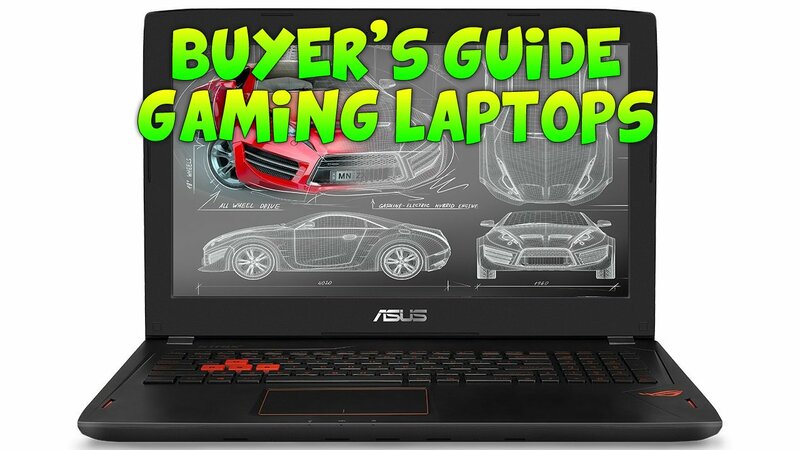 Check out our laptop buying guide below this table. Whether you’re a college student looking for a gaming laptop or simply want an option to play with at home here’s a look at our top gaming laptops for $500, $1,000, and $1,500. Before we dive into the monitors I’d recommend at each price category, here’s a short guide I’ve written with up-to-date information on what to look for in 2017. For lower budgets, some compromise may need to be made in order to find what you’re looking for. The performance of the graphics card you choose will be the biggest indicator for the longevity of your gaming laptop. For this reason, I highly recommend you go with something that’s up-to-date. In 2017 this is especially important as laptop graphics cards have nearly eliminated the gap between them and desktop GPU performance. This means there will be more than a small difference between a GTX 960M and a GTX 1060 in a laptop. So going forward you’ll likely want to go with anything that’s Pascal or Polaris based. If you don’t, you’ll likely regret it. A lot of gaming laptops this year are advertised as VR ready. First of all, it’s important to emphasize that this isn’t an all-inclusive gaming option. In other words, it’s going to depend on the game you play. The GTX 1060 might be able to play a basic VR boxing game; however, it’ll struggle with more intensive titles. If you truly want a VR experience that will last more than a couple years, I’d go beyond basic recommended settings. The screen size of a laptop not only will affect its overall weight, but its portability as well. Going for the biggest screen size may be ideal if you’re just planning to stay at home, but a smaller more manageable size may get more use for those who travel. A thick laptop also may be just fine for some. Overall, go with what works for you here. If you’re a student using this for class, I’d recommend something 15 inches or under. Unless you’re going with an APU, I don’t really see a reason to go with an AMD processor here. They’re not as fast or as energy efficient. This might change with Ryzen-based systems at some point. However for now, since these are gaming laptop, we’ll stick with Intel. Speaking of Intel right now the seventh generation Kaby Lake processors are the most up-to-date option for laptops. So, if all things remain equal, I’d go ahead and go with the 7th generation skus. As far as APUs are concerned some of the newer Bristol Ridge options look appealing in the sub $500 category. If you’re just looking for good integrated graphics, it’s something to consider. You can’t just assume that an i7 is better than an i5 on a laptop. The laptop naming scheme for Intel laptop processors is fairly confusing. An i5 can be a quad core while an i7 may not be. The difference is all in the name. If you see an “HQ” at the end of the model number, you know it’s a quad-core processor. If you’ve got the choice, going with four cores is certainly the better option. For what generation of processor, simply look at the first number after the i7 or i5. For example, the i7-6700HQ is a 6th generation Skylake processor with four cores. If you need color accuracy and wider viewing angles, go with an IPS or in-plane switching display for your gaming laptop. IPS monitors also tend to have better contrast and brightness. Want to get rid of screen tearing? Go with a NVIDIA G-Sync or AMD FreeSync compatible laptop. FreeSync options are very limited at this point in time. Is it worth it? That really depends. If tearing is an issue that bothers you, I’d say yes. I’ve seen a lot of 4k and 1440p gaming laptops as of late. These are great for working and watching movies and not something I would advise you against. That being said, if you’re playing AAA titles and have a budget under $1500, it’ll likely be in 1080p or less. Keep that in mind before prioritizing resolution over graphical performance. Should you purchase a used laptop online or go with a new one? This year, I’d go for new. The Pascal and Polaris GPUs offer too big of a performance difference to ignore. In addition, your new laptop will come with a warranty. There are always exceptions to this rule. However, for the prices I see on used laptops from the previous generation, it doesn’t seem worth it. Refresh rate is the amount of times your monitor’s display is updated per second. If your laptop can’t reach over 60 frames in the games you’re playing, then worrying about whether your monitor supports a 60, 75, 120, or over 140hz refresh rate isn’t that big of a deal. This is the case for gaming in 4k. If you can run your laptop in the resolution at a high frame rate, you’ll likely notice smoother gameplay up to around 100 frames. This is particularly advantageous in FPS genre games. It’s likely that this option will set you back at least a couple hundred dollars. So if it comes between this and a better GPU, you’ll have to decide what’s most important. If you’re purchasing in the $500 budget range, the Acer Aspire E 15 gaming laptop is the one I’ll be recommending for the immediate future. 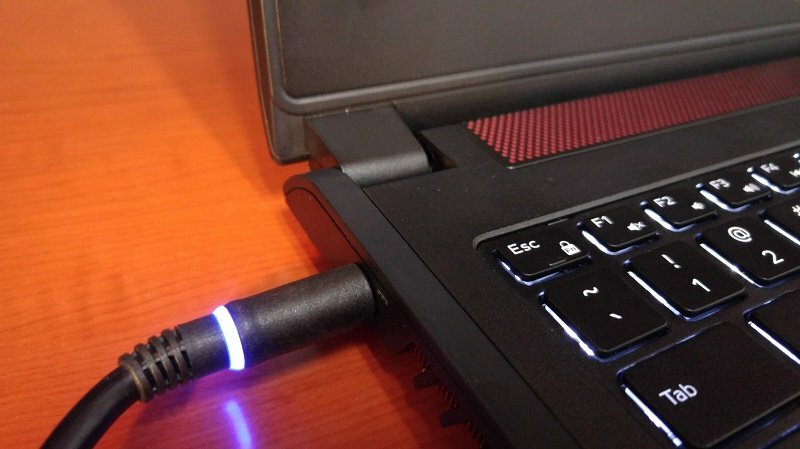 Sure, there is an argument to be made for Bristol Ridge-based gaming laptops. Still, for the performance and specifications of this machine, it’s the best all-around solution out there. There are a few specifications that give it a clear advantage vs other laptops in this price range. First of all, it comes with a dual-core i5-6200U processor. While it would be nice to have a quad core in this range, it’s still nice that we’re getting an i5 rather than an i3 at this price range. 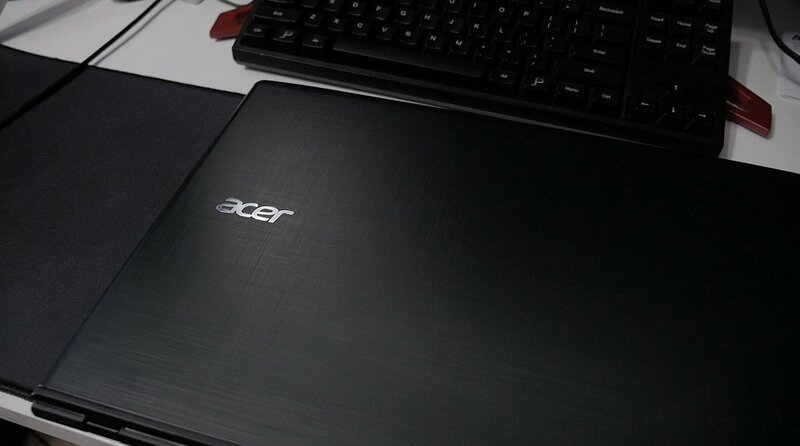 Another advantage the Acer Aspire E15 has is a dedicated graphics card in the 940MX. I recently benchmarked the performance of this GPU with the i5-7200U in our Acer Aspire E15 review. This machine has no issue with playing games like Diablo 3, DOTA 2, Overwatch, and Hearthstone. I also like that this model comes with a 256GB solid-state drive rather than a 1TB hard drive. While it is significantly less space, the speed difference between this laptop and other HDD-based laptops is enormous. For battery life, the Aspire E15 advertises up to 12 hours and certainly gives that while doing casual browsing. Clearly, in gaming this is cut down significantly but not as much as gaming laptops with higher TDP GPUs. Right now the best you’ll do in the under $1,000 category is a GTX 1050 along with a quad core CPU. The Dell 15.6″ gaming laptop shown in the table above is similar to what you should be looking for with a GTX 1050. It’s nice that it comes in at under $800, includes a quad-core i5-7300Hq, a solid dedicated graphics card, and a 256GB solid state drive. In addition, it also includes a 15.6″ 1080p full HD monitor. Overall at this price point, you’ll want to get a quad-core CPU, at least 8GB of memory, solid-state drive, and a full-sized keyboard with backlit keys. For the graphics card, wait until you can get something Pascal-based. If last years laptops with the GTX 980M come down into the same price range, that might be a decent alternative. 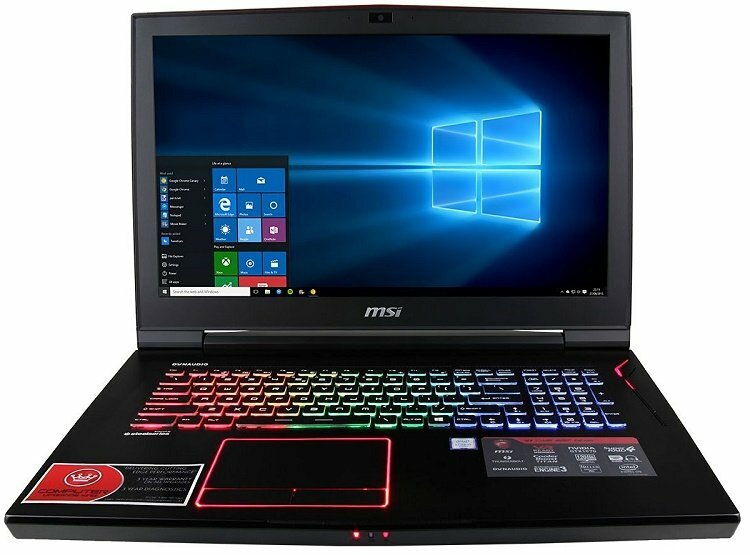 In the $1500 price range, you can get a gaming laptop that easily plays all AAA games in 1080p and even many in 1440p. As of the date of this article, you’ll want to look for a GTX 1060 here as the GTX 1070 will likely go beyond the budget. If you do go with NVIDIA’s GTX 1060, find one with a display that incorporates G-Sync and, if possible, has a refresh rate of 120Hz. You’ll also want to double check that the model you’re purchasing has a solid state drive. Some manufacturers skimp here and only go with a mechanical drive. One of the options listed above, the Asus ROG Strix GL502VM comes in as low as $1400 if you’re willing to just have a 1TB hard drive. I’m not sure why Asus doesn’t allow for a 256GB SSD alternative, but if you want to add a solid state drive through them, it’ll cost you another couple hundred dollars. You could also add your own. For ram, anything 8GB and above will be enough. Getting 16GB of ram at this price range is likely, but ultimately unnecessary. Any laptop you come across that has a Pascal-based GPU will say that it’s VR ready. Keep in mind that while this may be the case for some games, a GTX 1060 will struggle in graphically intense VR games. For increased longevity, I’d recommend something more along the lines of a GTX 1070. This should give you significantly more performance moving forward and be well worth the price if you’re truly planning to game in VR. At around the $2,000 price range, I’m recommending Asus’ ROG OC edition shown in the table above. Not only does it come with NVIDIA’s GTX 1070 and an Intel i7-6820HK, you can also overclock it for a serious increase in performance. Other options you’ll want to look for are similar to those listed above. A G-sync IPS monitor, refresh rate above 60Hz, 1440p or 4k, and a solid state drive all are good options in the high-end market. Truly Pascal GPU performance takes the gaming laptop to another level. GPU overclocking is now something that’s a real option for laptops. Unless you’re going for a $500 laptop, I would stay clear of anything more than a few months old right now. That’s certainly not a recommendation I would have made in the past, but it’s certainly the one I’d make right now. You’ll also want to be sure that you go with a quad-core processor rather than a dual-core. This is likely to make a big difference on AAA titles going forward. 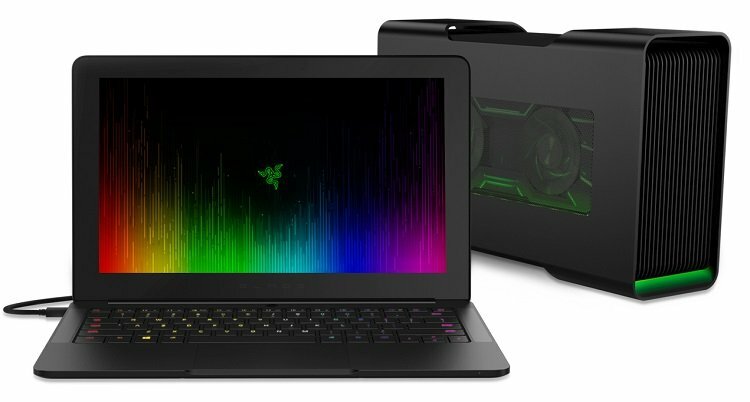 What's the budget for your gaming laptop? Dude, I love your guides. About to invest a lot into tech for some projects, I’m using your build into as a starting place. How about some micro server builds? Keep up the great work. Thanks for the compliment. I’ll think about it. I don’t have any of those on the horizon but might be a good idea.